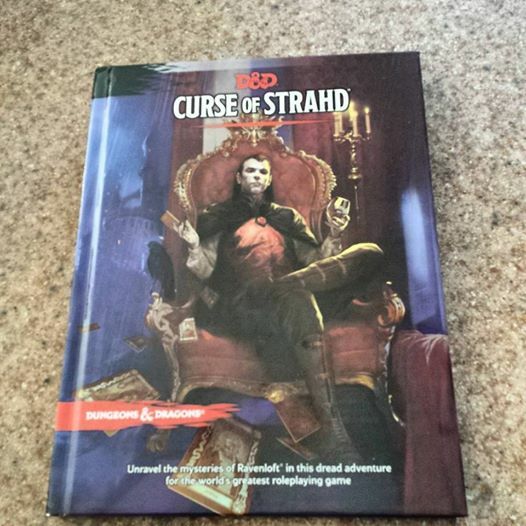 Curse of Strahd is coming out on March 15. If you live near a Wizard's Premier store you can get your copy now. With this releaseWotC has also opened up Ravenloft to the DM's Guild. I hadn't really considered doing anything for the DM's Guild. Not because of the pricing structure, but because it was more restrictive than the OGL, but this might make me change my mind really. Back in college during the dawn of 2nd Ed I played the hell out of Ravenloft. For me really Ravenloft and Second Edition are synonymous. I know my experience is not entirely unique. Of course back then I was a poor college student; money could go for pizza, beer or D&D books. Guess which one usually lost. The result was what we all did back then, we wrote our own material. Now I will admit that my writing from the late 80s and early 90s was not great. So maybe only 5% of things I did then would be worth publishing in any forum or form. But some of that stuff I really liked and would like to see it see the light of day. So to speak. Time to dive into my archives and see what I have. Interesting. Any idea if Masque of the Red Death (and its Gothic Earth) is/will be included? I'd love to see people play in that sandbox. No. No Gothic Earth elements from what I can tell. Thanks! At this rate, though, I guess the future could still hold a lot of surprises when it comes to the Guild.